Need to find out about what happened at the last commissioners meeting? Find out about the election process and how you can participate in elections? The City Secretary is one of the oldest public servant roles in local government. The position existed before Biblical times as "Keeper of the Archives". Before the communication tool of writing, the Town Clerk was known as the "Remembrancer" because their memory served as the official public record .In present days, the City Secretary remains the "Keeper of the Archives" as the office documents and preserves the history of our city's government. The Office of the City Secretary is administratively responsible for the care of the City's records, maintaining the City Commission minutes, agendas, deeds, ordinances, resolutions, contracts, and a vast array of other historical and regulatory information. This office is also responsible for keeping the agendas and minutes of other City Boards. The City Secretary is designated as the City's Records Management Officer by both State and City ordinance. The City Secretary is responsible for developing and administering a records retention and destruction policy as required by state law. The City Secretary serves as the Human Resource Director. Employment applications are available here or at City Hall and any job openings will be published in the local newspaper. The City of Eastland is an Equal Opportunity Employer and considers applicants for all positions without regard to race, color, religion, creed, gender, national origin, age, disability, marital or veteran status or any other legally protected status. 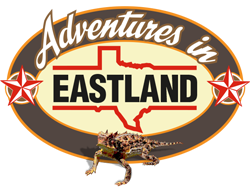 Contact: citysec@eastlandtexas.gov, City Secretary, Eastland City Hall.